The dental education forms the foundation of professional lives for the dentists with respect to students, faculties, and curriculum which are considered the main aspects of the dental education. The important perspectives of these three arenas should be analyzed with plausible suggestions for improvising them. In order to meet the inevitable increase in demand for training, teaching, and learning, innovative approaches are required and dental academia should be asked to respond. 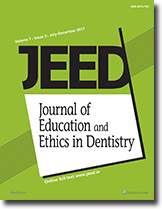 The educational needs can be viewed as a three-dimensional problem, increased breadth across the dental team, vertical integration within and between specialties, and the longitudinal expansion with lifelong learning and continuing professional development. The present dental curriculum needs to be reformed by correcting some inherent concerns and flaws such as inadequate clinical relevance of basic science concepts, lack of comprehensive patient care model for clinical education, and overcrowding of the curriculum. In many countries, the practice of dentistry is only permitted after passing an examination to get dental license for few years. Furthermore, this license should be renewed with essential continuing dental education, which is considered an international trend for reconciling. The Dental Council of India and the Union Government should be more stringent with reinforcing rules and regulations to assure adequate infrastructure and quality education in all the dental colleges. Purpose: The purpose of this study is to compare the traditional lecture-based instruction to a contemporary format, which simulated the flipped classroom, on student learning of behavior guidance techniques (BGTs). Both types of instruction included video examples of BGTs. The secondary aims were (1) to examine the students' preference of learning style on test performance and (2) to determine the student perceptions about the methods of instruction with videos. Subjects and Methods: Videos of practitioners performing BGTs were recorded. Dental students in their third year of training were recruited to participate (n = 70). Students were randomly divided into two groups as they entered the facility: (1) contemporary instruction (CI) and (2) traditional instruction (TI). The CI group watched a 20-min “mini-lecture” that simulated an online module and then divided into discussion groups led by calibrated pediatric residents and faculty. The TI group received 50 min of traditional lecture with videos incorporated in the presentation. At the completion of the course, students completed a questionnaire, which assessed the student's learning of the objectives of the course and his/her perceptions of the learning experience. Results: The CI group performed significantly better on the posttest questionnaire (P = 0.001). After instruction, students felt most comfortable employing Tell-Show-Do and Positive Reinforcement. Students' perception of the usefulness of video examples of BGTs was high with mean 4-point Likert scores of 3.53 CI and 3.52 TI. Conclusions: The CI format improved the students' learning of the topic as assessed by test scores. Behavior guidance education for predoctoral students could be enhanced by the use of videos and discussion-based learning. Background: Malocclusion is the third dental public health problem by the World Health Organization. A classification of the patient's occlusal traits should be performed to group them for better information management and to facilitate communication between specialists. Purpose: The aim of this study was to compare knowledge on classification systems of existing malocclusions among dentists and orthodontists. Materials and Methods: This research was a cross-sectional study. A sample size of 239 general dental practitioners and 111 orthodontists was surveyed. Inclusion criteria were at least 1 year of work experience and location in the metropolitan area of Medellín. Individuals who were teachers were excluded. 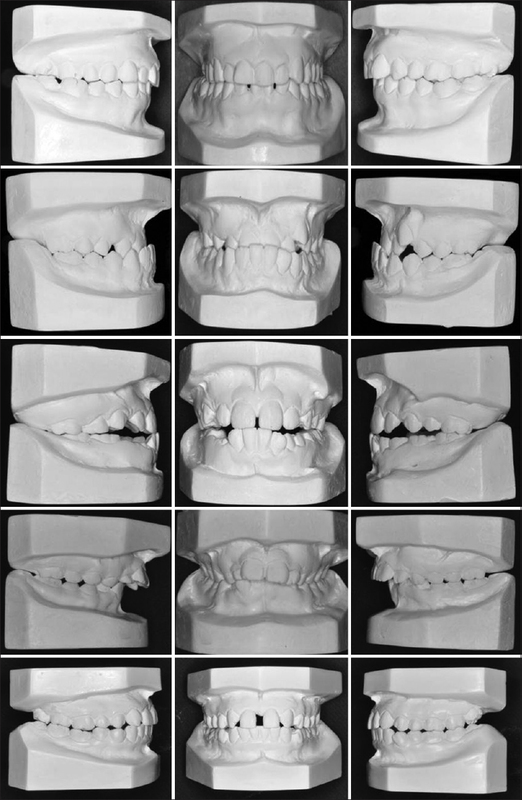 The questionnaire consisted of photographs of side and front dental study models of five patients in orthodontic clinic. Practitioners were asked to indicate both a diagnosis and the classification system used for their diagnosis. The percentage of correct answers provided was calculated for each stratified case by orthodontists and dentists and by the college from which they had graduated. Results: Of a total of 831 questionnaires distributed, 350 were filled out and returned. Most practitioners were diagnosed only in the sagittal plane, and 100% of responses used Angle's classification. Vertical and transverse planes were considered when the occlusion alteration was highly pronounced. The percentage of correct answers was similar among universities. Conclusion: Classification systems of existing malocclusions do not provide the dentist or the orthodontist with appropriate occlusal diagnosis unless alterations are evident.